Music from the BBC Philharmonic. Dvorak: Slavonic Dances. Adams: The Chairman Dances. Rachmaninov: Piano Concerto No 3. Einem: Capriccio. HK Gruber: Rough Music. Plus Strauss. 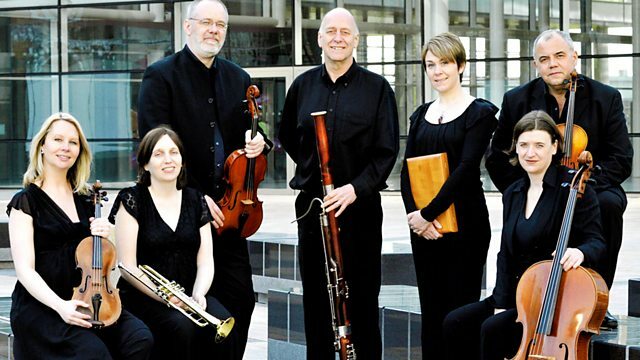 Katie Derham this week showcases performances by the BBC Philharmonic. Today's programme includes Strauss songs performed by Ben Johnson, and a performance from the Bridgewater Hall last October in which the Orchestra was joined by soloist Nobuyuki Tsujii for Rachmaninov's 3rd Piano Concerto. BBC Philharmonic, Juanjo Mena (conductor). Orchestra: BBC Philharmonic. Conductor: Philippe Bach. Singer: Ben Johnson. Conductor: Yutaka Sado. Orchestra: BBC Philharmonic. Performer: Nobujuki Tsujii. Conductor: Yutaka Sado. Orchestra: BBC Philharmonic. Performer: Martin Grubinger. Conductor: Juanjo Mena. Orchestra: BBC Philharmonic.